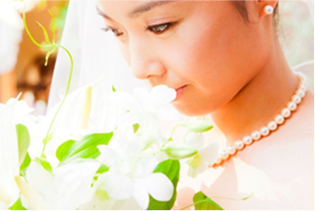 At SACHIKO JAPON, we propose a bridal esthetic plan based on "individual counseling" so that we can keep the most beautiful state on the day of wedding day. Based on the basic Ayurveda (body) · collagen lymphatic massage (facial), you can also combine photofacial · depilation / art makeup etc on request. It is a very advantageous plan that "Ayurveda 1 time", "collagen facial 1 time", "hair loss on back and face 1 time (with treatment after hair removal)" became a set. The Ayurveda treatment can expect the size reduction effect of the same day. In addition, IPL hair loss has few worries such as loss of razor, and the transparency of the skin when wearing a dress is different. Please try before going on a bridal and also before wearing a dress such as 1.5 next meeting. "It's a treatment from the chest to the face, since we use cosmetics with high severity of collagen, the skin will be resurrected, and it will be a facial of a clear makeup appearance. It is a whole-body hand care slimming method using original oil. The effect can be seen with a single treatment, size down of waist 3 ~ 15 cm is also possible. Adjust the size according to the dress and the kimono, as well as lead to a beautiful and healthy "attractive skin". With simultaneous reservation¥ 32,400I will be at you. 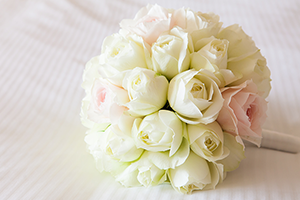 You can book photo shoots with photographers who are active in a line of magazines, advertisements and bridal shooting at prices that are exclusively for bridal esthetic treatments. In addition to photographing at the ceremony venue and second party meeting place, we propose plans depending on your request, such as studio shoot by bride and groom and family.